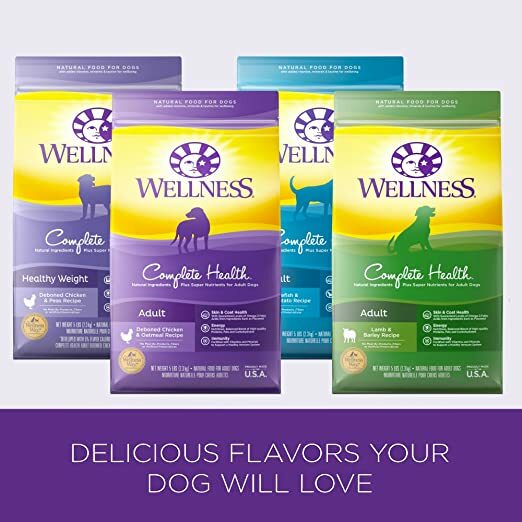 The focus of puppy food by Holistic Select is on prebiotics, probiotics, natural fibers, botanicals and digestive enzymes, which helps your puppy digest their food easier, meaning better health overall (particularly digestive health) in the long term. Only premium ingredients are said to be used in the form of real lamb and DHA. This helps with the overall growth spurts that puppies experience. Natural Ingredients are used, with no meat-by-products, wheat, flavors, fillers, artificial colors and/or wheat-gluten. This kind of kibble is overall a bit larger than usual puppy kibble in other dog foods. Backed by a Holistic Select Guarantee. Reports (by many large breed dog owners) indicate most puppies prefer this dry food above others they introduced into their diet. 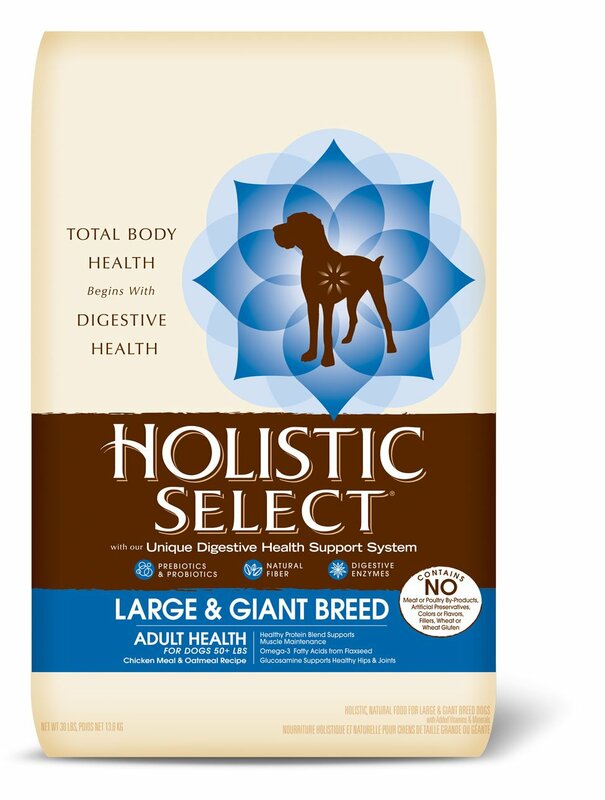 There has been reports of some puppies getting belly aches, cramps and overall sickness from switching to Holistic Select. 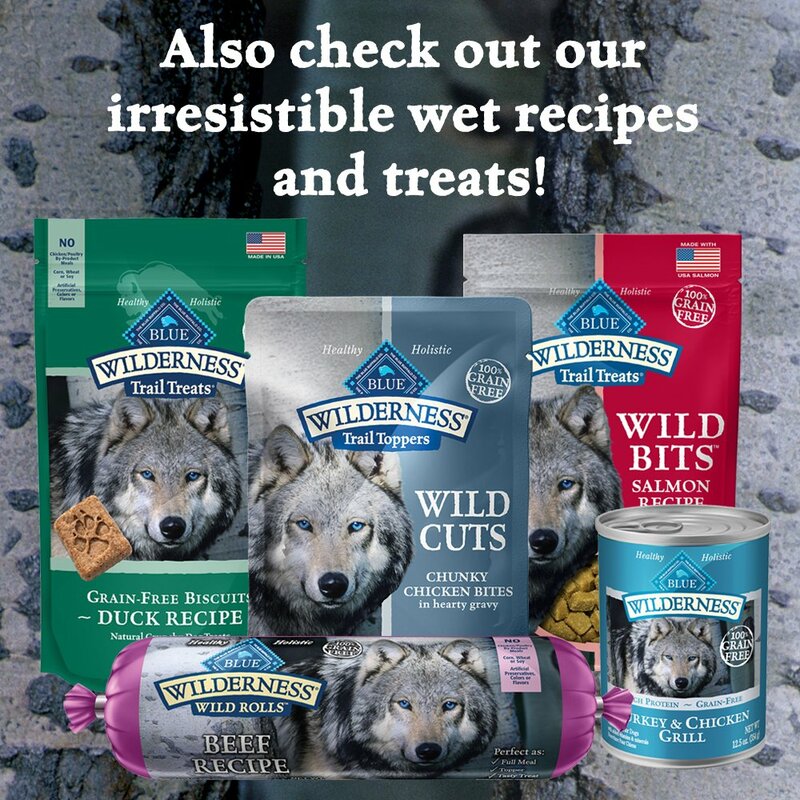 It is advisable to introduce this product over time into their diet, especially since the product is rich in natural ingredients, which might be aspects your pup is not used to. 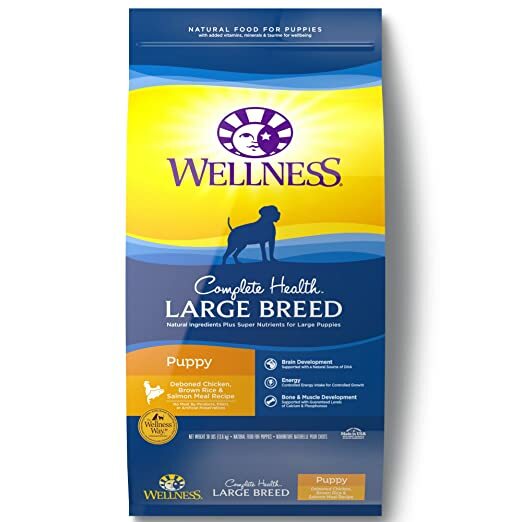 Wellness core contains high-quality deboned Chicken, Salmon & Brown Rice, which has been calorie balanced to ensure puppies receive enough at each serving. 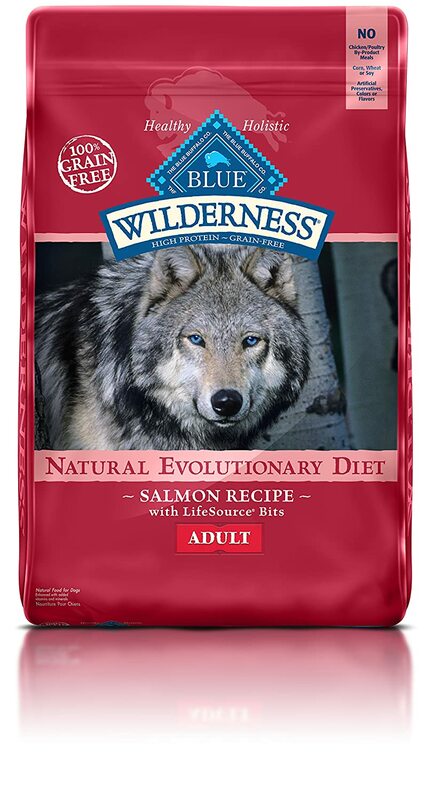 This dog food provides one of the best, complete and most balanced daily diet allowances. Contains calcium and phosphorus needed to help puppies with bone growth. Well priced for a quality dog food product. 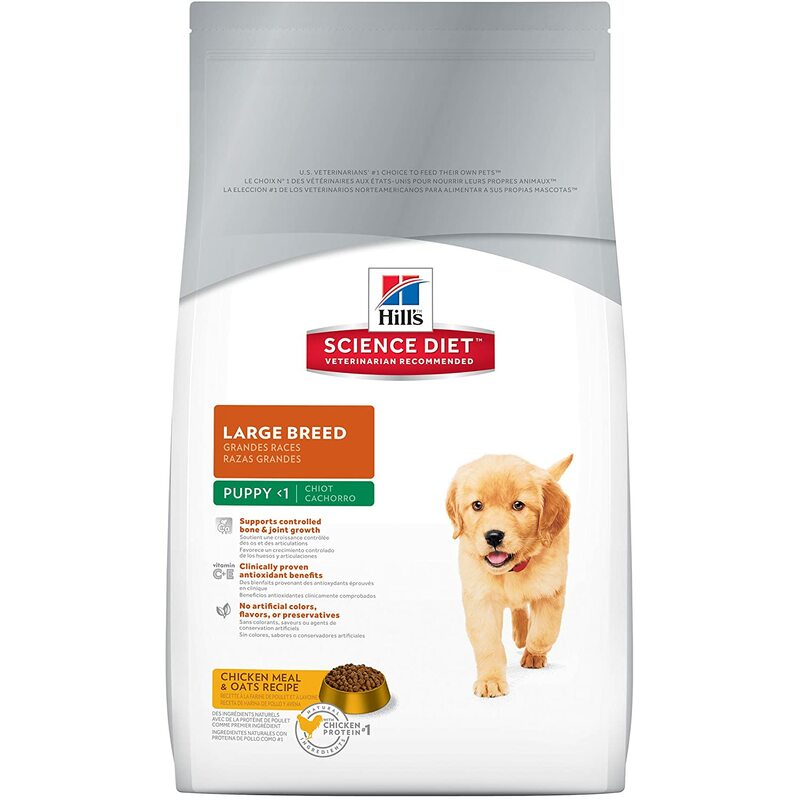 There has been reports of the product containing grains and fillers which is overall not that healthy for growing pups. In some instances, the protein to carb ratio is low, which means your puppy receives less protein and more carbs. In this instance, you will need to purchase additional protein to up the amount of protein your pup gets. Contains cold-formed minerals, antioxidants and vitamins. This ensures these elements retain their overall potency, which is great for your large puppy’s continued health, as it insures he or she actually gets the elements their bodies required. High in Protein, with a high-level of Salmon. There has been reports of skin allergies after introducing this product into puppy’s diets. 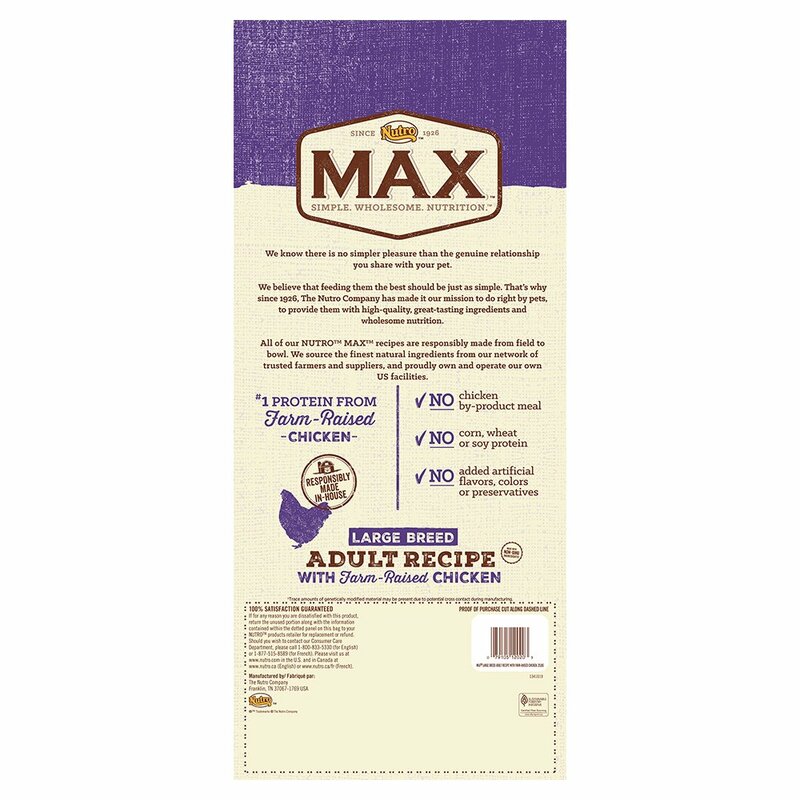 Important: Introduction to a new dog feed needs to be done over time, mixed with other food (I'm always extremely careful with food allergies, especially in case of my puppies). 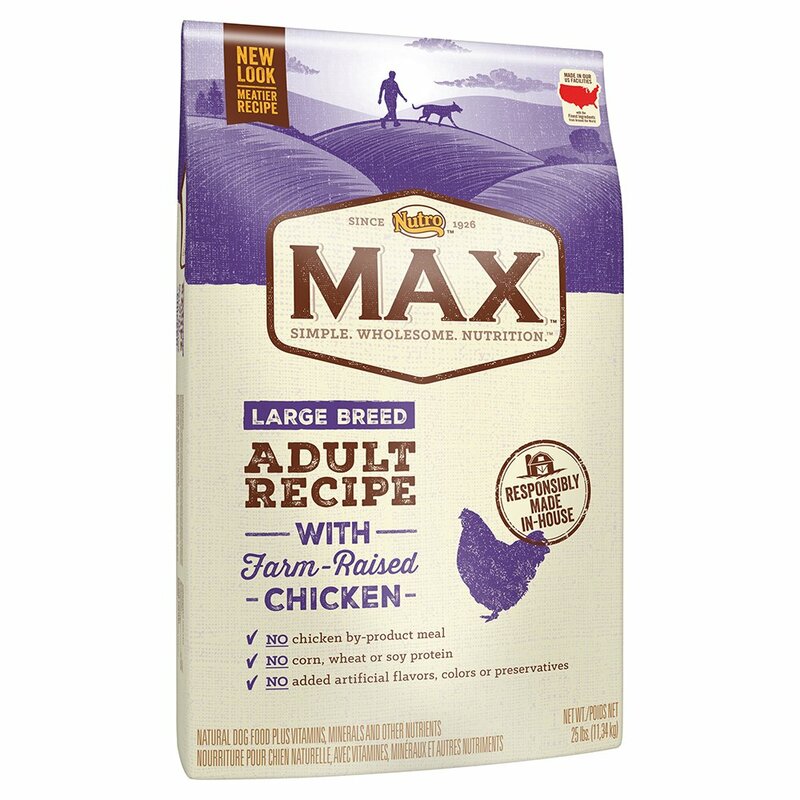 A less expensive price tag, but still a good product for large breed puppies. Antioxidant presence and additions has been clinically proven. The product contains no preservatives, flavors or colorants. Food formulation helps a large breed puppy with supported, controlled and effective bone development and growth of joints. A scientifically developed dry dog food. Contains corn wheat ingredients, which has caused some stomach upsets in puppies, with to regular stools. There have been reports of many puppies not liking the food much. The food can be smelly, therefore do not keep it in the house. Better to keep it in the garage or shed. Contains real, farm raised chicken. 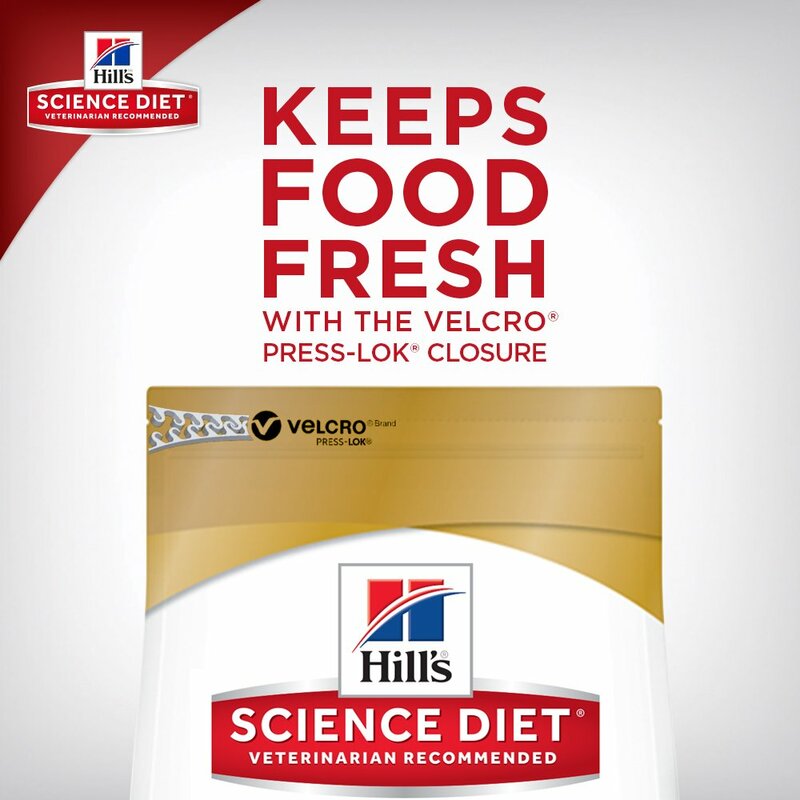 Formulated to meet the needs and nutritional requirements of most large breed dogs. Tasty food, with most owners reporting their large puppies and dogs love the taste of the food. Contains no artificial preservatives and flavors. Recently the product changed from a 30lb bag to a 25lb bag, with the same price tag. Another aspect that seems to have changed with the change over to the smaller bag, is the nutritional value of the food. There have been reports by owners that they have to portion out a larger portion to their large puppy, while paying the same price for a 25lb bag, which means they need to purchase a bag of food more often, adding to their monthly expenses. 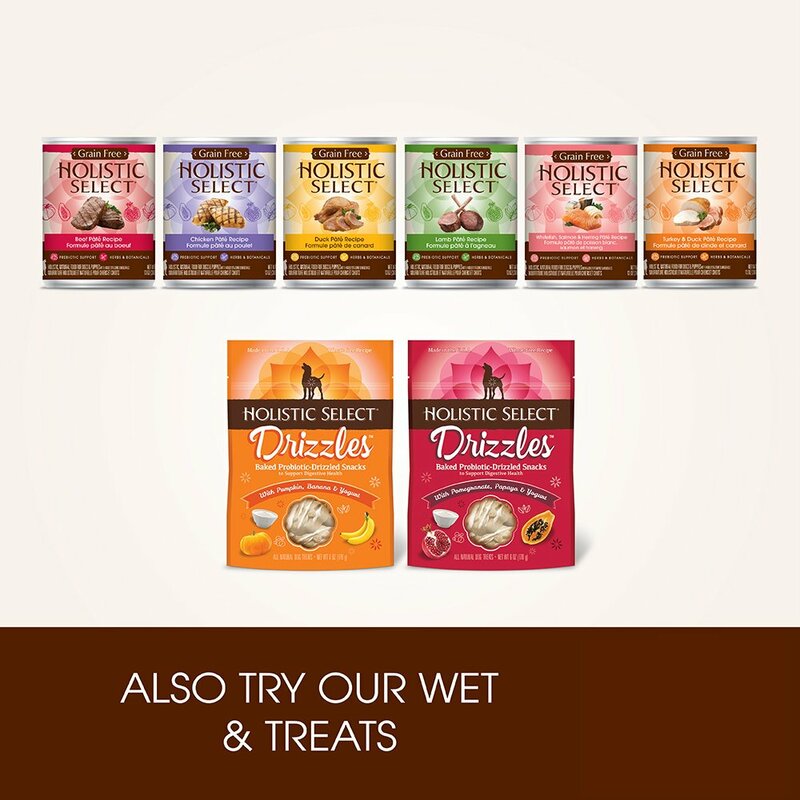 Holistic Select’s: Natural Dry Large Breed Puppy Food, is my favorite and recommended because of a variety of reasons mentioned above, but in the end, will the best foods for puppies depend on your own unique circumstances, and your pups nutritional requirements. 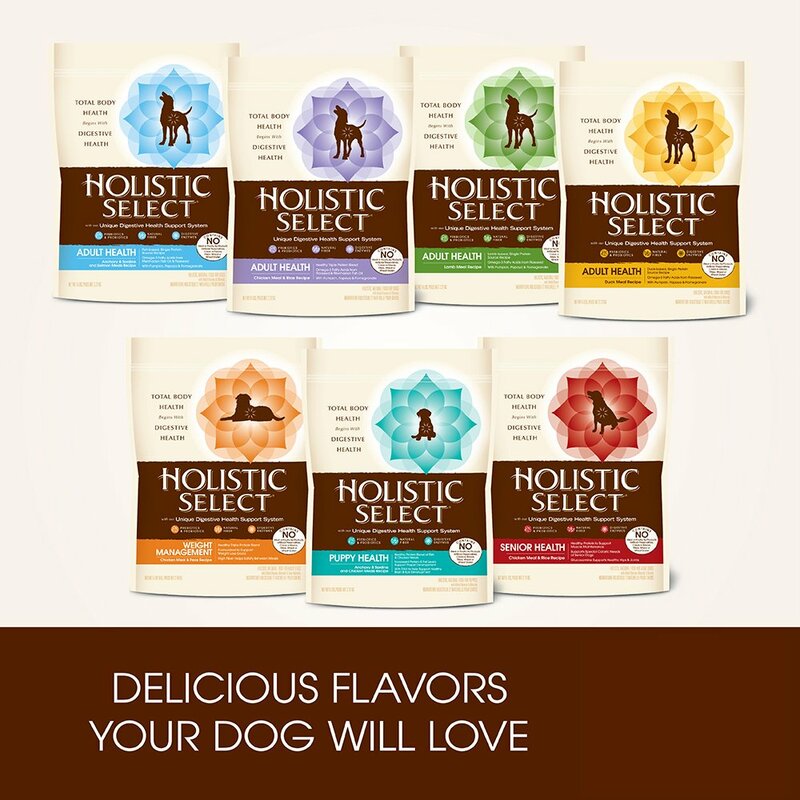 Holistic Select provides puppies with potent, quality ingredients most of them need to grown into healthy adult dogs. We have found the dog food is also rich in prebiotics, probiotics, natural fibers, botanicals and digestive enzymes. Compared to other puppy food brands, does this food cause little irritation to the digestive system of puppies. A definitive plus to any puppy owner who have had to regularly change a pups diet due to to regular stools. Always carefully go over the pros and cons of each dog food before purchasing, and remember to introduce any new food gradually into your large puppy’s diet. Purchase food for large breeds by ensuring the food contains all of the required nutrients and elements needed for their growth. It has been found that the most common problems occurring in large breed adult dogs are skeletal and bone development. All issues which develop during the month’s large puppies experience the famed, growth spurt. It is during these months you need to ensure your large breed puppy receives high-quality food. Dr Coates, from PetMD, in her article advises to pay attention to the importance of noting a large puppy need more amino acids, vitamins and minerals than adult large dogs do. Have a look at the Fat, Protein, Arganine, Faline and Calcium for instance in the diagram above, and you will notice the amount needed is a little higher. Therefore, is it important to check the label of puppy food before purchasing. She further suggests ensuring the food you purchase is high in omega 3 fatty acids. These acids aids puppies in maintaining a healthy skin, and helps with development of their eyes and brain. ​I recommend these following:Is the labeling of one single ingredient multiple times. You might have seen labeled before, brown rice, white rice, rice gluten meal, rice bran. This might mean that the dog food contains to much carbs and to little protein. Is pulverized meat (or half-meat by-products) that can be anything basically that the butcher didn’t want or that was not suitable for human consumption. This type of ‘meat,’ (or bones, beaks, paws etc.) can also be anything from donkey’s, horses, cats, etc. It didn’t matter whether or not these animals died from natural causes, sickness, tumors and/or poison, there is often not much regulation about the meat by-products factories can not use in their dog food. Ensure the dog food you purchase is from a responsible manufacturer. Veggies, fruits and nuts may be great for humans, but the same can not be said for dogs. The intestines of a dog is much shorter than that of a human, and has been adapted to process meats (proteins) much more effectively. And while humans are omnivorous, have dogs since ancient times been primarily carnivorous. Domestication has of course forced dogs to consume a more omnivorous diet, but this is not very healthy to them; and forcing a vegetarian (or vegan) diet onto them, is harmful to their overall digestive system and health. Dog food containing to much grains normally irritates a dog’s digestive system since their digestive track is not equipped to handle such elements as humans are. Why: Causes major irritation to dog and their digestive system, and can sometimes be fatal. Inside: Chocolates, sodas, coffee, tea, energy drinks, cocoa, pain killers. Chocolate – Causes vomiting and diarrhea in dogs. Why: WebMD found just 6 macadamia’s can make a dog very sick. Raisins & Grapes – May cause kidney failure. Why: Causes the blood sugar of dogs to drop, and can cause liver failure. Inside: Baked Goods, Candy, Gum, Toothpaste. Why: Causes a dogs stomach to swell internally, causing pain in the area. Take a piece of paper, and make a list of all the foods, ingredients, colorants and artificial flavors dogs should not ingest. Keep this piece of paper in your handbag, and consult whenever going to shop for the best large breed puppy food. Purchase dog food without the above harmful elements and foods.